Leading the way to help people reconnect with nature through their own landscapes. Sustainability is a word that is often used but largely misunderstood. To Organic Solutions it comes down to one very basic principle; It means healthy landscapes that improve the quality of the environment, that make economic sense, and that result in beautiful places for people to gather and enjoy their families, friends and neighbors. 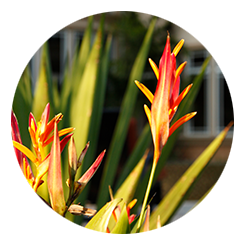 A healthy landscape provides a safe and aesthetically pleasing gathering place for people, where they live, work and play as well as providing a safe haven for the local flora and fauna when appropriate. Being outdoors in the company of friends and family is the foundation block of social cohesion. Organic Solutions is committed to providing economically viable, environmentally preferable solutions to landscape management needs so that the landscape can continue to be the place where social interactions take place. Over the past forty years, the environmental movement and the interactions between the three primary stakeholder groups—government, business, and the non-profit community—have changed in significant ways. With the birth of the environmental movement in the 1960s, businesses of all sizes have been asked—and, in most cases, required—to take steps to protect and sustain the natural environment around them. It simply makes good business sense to do things the right way! We believe that it should not cost homeowners and business owners more to do things that are better for the environment. Organic Solutions believes in the power of numbers and we believe that a growing number of homeowners and businesses will be joining the sustainability movement. We also believe that once they hear about the Organic Solutions approach to sustainable landscape management, we will continue to build a growing network of satisfied and happy customers. The Organic Solutions team and our partners have been practicing and promoting sustainable landscape management for a long time … long before it was trendy to do so. Why? Because it was the right thing to do. We have decided that it was imperative for us to forge strategic business partnerships with others that set us apart from traditional lawn care providers. When combined with our own, the decades of combined experience that our partners bring adds an immeasurable value to the services that we offer. Specifically, the partnerships that we have forged with Turf Feeding Systems and ISC-Audubon provide nearly a half century’s worth of combined expertise for sustainability, turf management, and environmentally preferred best practices that other lawn care providers simply do not have.